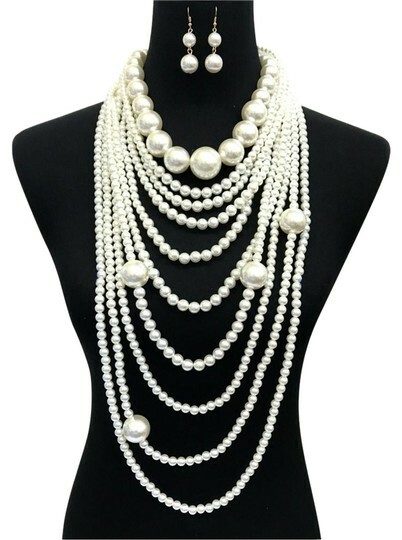 Fashion Statement pearl necklace set. Multi Layered pearl necklace set with earrings. Top layer of pearl choker layer . Please see pictures for illustration. 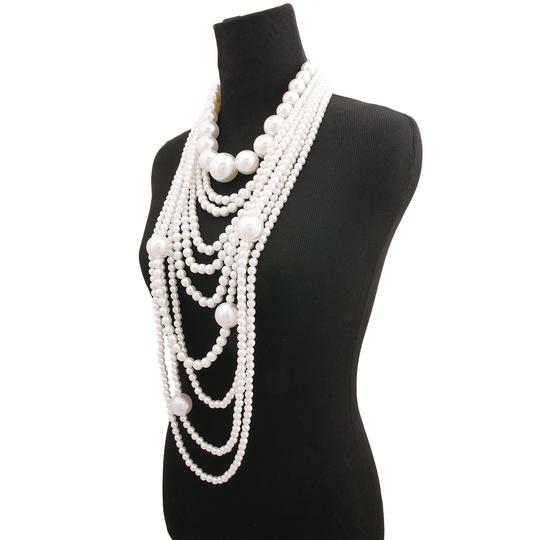 Cream pearl beads and gold tone metal and hardware with lobster claw closure. measures 20" long with 3 inches extension.